Esmaili's distressed rugs online collection includes delightfully chic, elegantly vintage Mahal, Sivas, Tabriz, Kerman, Sultanbad and Oushak rugs to fully realize any shabby chic design style. 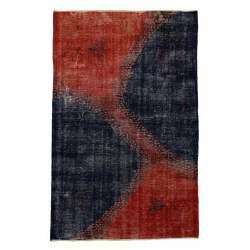 Distressed rugs blend seamlessly with equally distressed interiors, period-based décor, minimalist and ultra-modern ambiances. The shabby chic style originated in Britain several hundred years ago when wealthy people discovered the mesmerizing charm of country house decorations — worn chintz sofas, faded curtains and older paintwork. Artisans and bohemians embraced the distressed look and helped popularize shabby chic by deeming distressed items as works of art. First used by World of Interiors magazine in the mid-1980s, the interesting phrase shabby chic quickly made its way to the ears of US interior designers who began utilizing both vintage distressed and modern distressed rugs. Metropolitan cultural hubs such as New York and Brooklyn, San Francisco and Los Angeles venerated this warmly eclectic style of decorating and eventually incorporated Mediterranean influences and created the ultimate shabby chic environment. Invulnerable to the dozens of superficial decorating trends inundating each decade, Esmaili's distressed rugs collection offers breathtakingly handcrafted rugs from the Middle East and the Orient, illuminating their own ageless style and eternal sumptuousness. Grace any marble, wood or concrete floor with one of our exquisitely elegant rugs and you'll immediately discover why distressed rugs are so popular with our diverse clients. Warmly inviting with traditional patterns delineated by vibrant browns, reds, blacks, whites and crèmes, our Mahal distressed rugs have high-quality wool piles woven into cotton foundations that are soft yet durable. 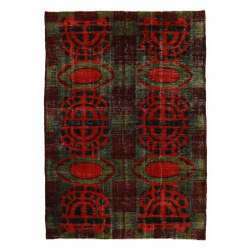 Design elements found in Mahal vintage distressed rugs include both curvilinear and geometric forms centralizing medallions against a floral motif background. 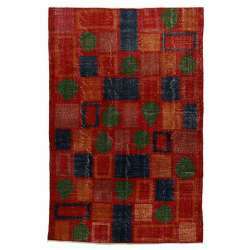 Esmaili's distressed rugs online collection is also proud to offer beautiful Oushak rugs from Turkey to our clients searching for extraordinarily unique, vintage rugs. One of the centers for handmade rug-making during the Ottoman Empire, Usak, Turkey is a Western Anatolia town famous for its skilled weavers and creative imaginations they used to make their classic works of art. In the 19th century, Siva rugs and carpets were heavily imported by wealthy Europeans who adorned castles, mansions and cathedrals with these historically rich, aesthetically compelling rugs. Usually referred to as Industrial Style or Modern Industrial rugs, distressed rugs blend seamlessly with Industrial Style décor featuring celebrations of functionality, shabby chic “wear and tear”, and the beauty of naturally aged colors. You can find distressed rugs gracing the urban lofts of NYC, older buildings transformed into cultivated business centers and expressive homes reflecting Modern Industrial décor schemes. For over 20 years, Esmaili Rugs & Antiques has been happily serving clients in the Dallas-Fort Worth Metroplex and Dallas Design District. 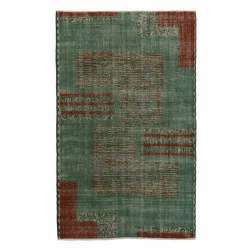 Even if you don't live nearby, you can browse our distressed rugs collection on our website and make a purchase online. If you have any questions, please call us at 214-651-7847 today to learn more about distressed rugs, vintage rugs and the other services we offer.